These playful foxes will look adorable on your little one! 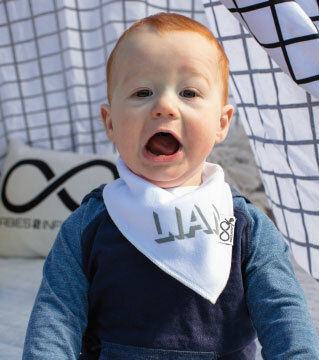 Our double-sided bandana bibs look great and are super absorbent. Material is 100% cotton with polyester fleece back. Multiple clasps make the bib adjustable to suit your baby. Bibs fabric (darker colours) may fade from washing or sun exposure. This is not considered to be a flaw. Australia doesn't currently have any safety standards but this bib been put through product safety checks against the American ASTM F963-16 standard and has passed.